Jind - Accusing Aamir Khan-starrer PK of hurting religious sentiments of the majority community, right-wing outfit Hindu Mahasabha today demanded a ban on the film and threatened to hold demonstrations. "Some scenes in PK film humiliate Hindus and are an awful jibe at the community. They are also an insult to Hindu gods like Lord Shiva," Narendra Sharma, Haryana in-charge of Hindu Mahasabha said in a statement. "When they talk about Hinduism, they show whatever comes to their mind without giving it even a single thought, why not talk about other religions too," he said. 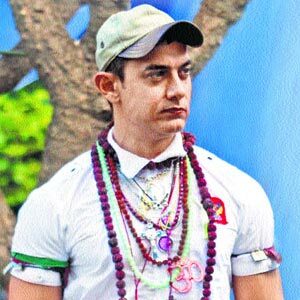 The outfit also lashed out at the Censor Board for clearing the scenes.It demanded that a case be lodged against Aamir for "insulting" Hindu religion and threatened to lodge protests if the film is not banned.